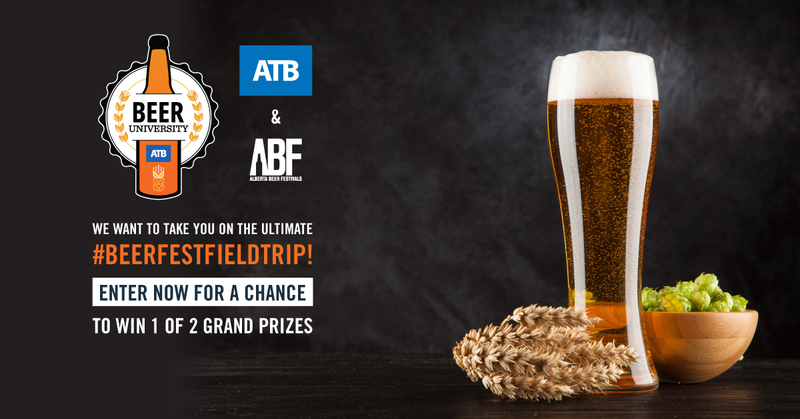 ATB Financial & Alberta Beer Festivals want to send you on the Ultimate Beerfest Field Trip. Here’s your chance to win 1 of 2 Grand Prizes. Total Value of approximately $800.00 CAD. Drawing for Entry and Grand Prize winner for this festival will be drawn May 29, 2018.